Thinking about The Troops – No Cute Puppy Pic Today | KeaNeato! Navy construction brigade troops (Seabees) at work in Iraq. Usually on Fridays, I post a “cute puppy pic.” Today, I’m just not in the mood. With the election coming up, and the increase in shootings in Afghanistan, I’m thinking of the troops. 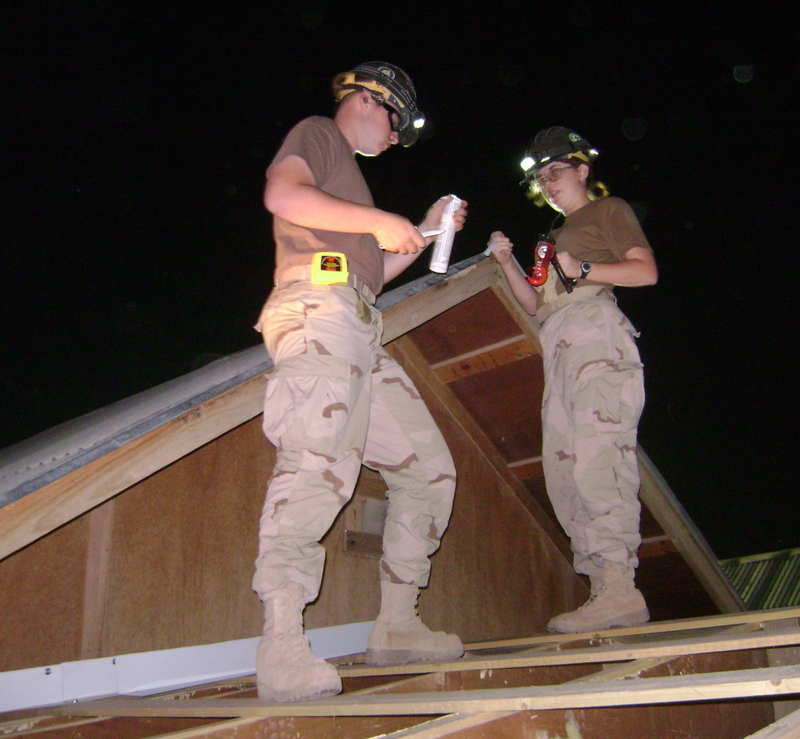 Here’s a picture of my Seabee niece (and fellow Seabee), who served a couple of years ago in Iraq building barracks at night (too hot during the day) and laying concrete at dawn and dusk. Thanks to her and all of the troops deployed in various arenas now or in the past. I hope you come home safe and soon, and if you are home, you stay safe and know you are appreciated, even if things seem dark right now. This entry was posted in impactful, Life, notable and tagged Afghanistan, Iraq, Seabees, veterans. Bookmark the permalink.